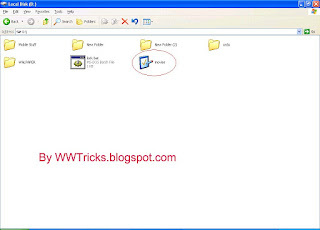 Friends in this article we are showing that how we can lock a folder in windows xp without using any software. 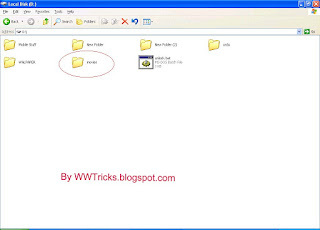 First we will create a text file and save this in the same drive where the folder held, that we want to be lock and no one can see inside to this folder.Suppose you want to lock the folder movies in D: which has the path D:\movies.so you have to create a text file In the same drive. So open notepad and type this code or simply copy it and paste to the notepad. 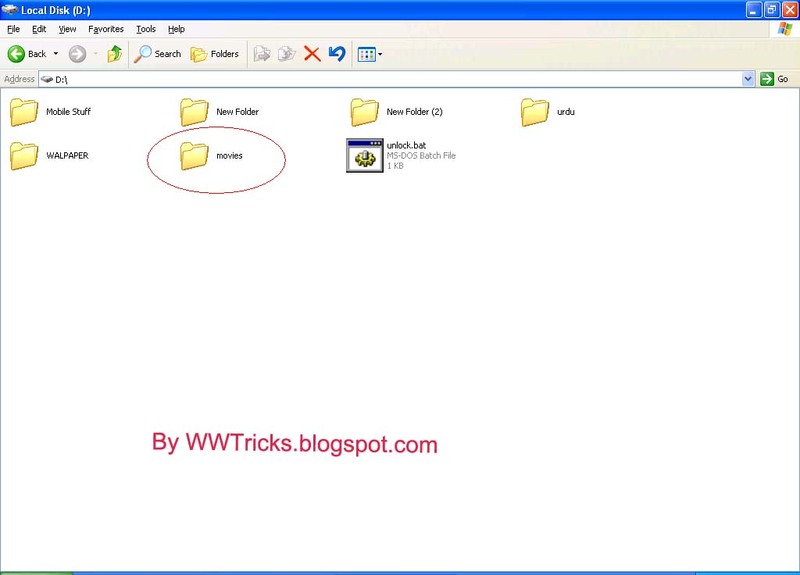 Now as you will double click on the file "lock.bat" the movies folder will be locked. After looking the folder "movies", you will find yourself at control panel. 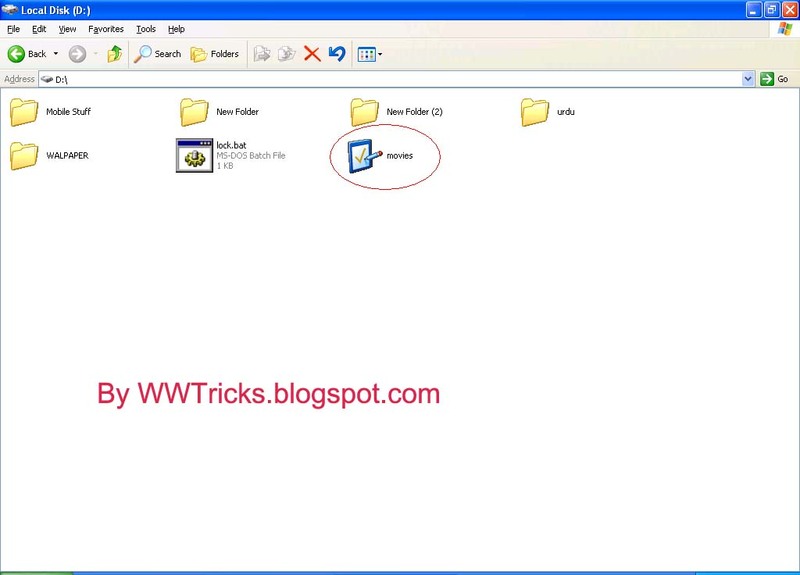 The folder you will lock, appear like this as shown in the below screen shot. How To unlock this folder? So for unlock you have to create another text file in the same drive by pasting down in it the code given below. Click on unlock.bat the folder will be unlock. After this you can go to the folder movies and see your contents... See there as i clicked on the file unlock.bat i saw the folder is visible and now every body can go inside, just like below.